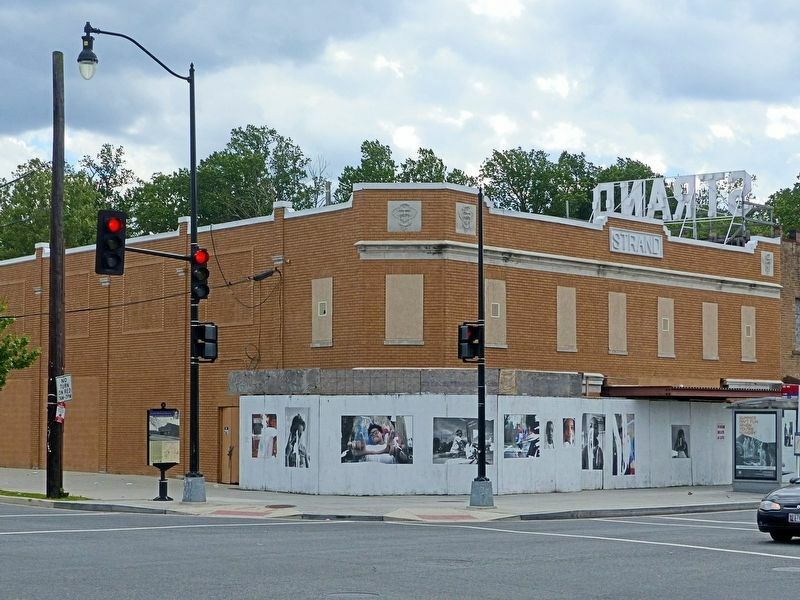 The Two-Story Art Deco Style Building on your left was once the Strand Theater. Abe Lichtman, a Jewish businessman whose movie theaters catered to black patrons, opened the Strand in 1918. 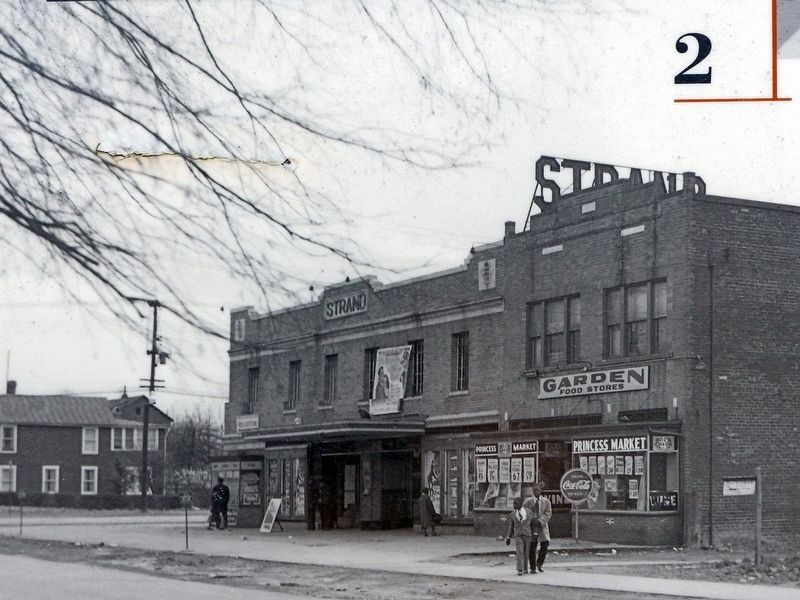 Lichtman also operated the Lincoln and Howard theaters in the Shaw neighborhood of Northwest DC. 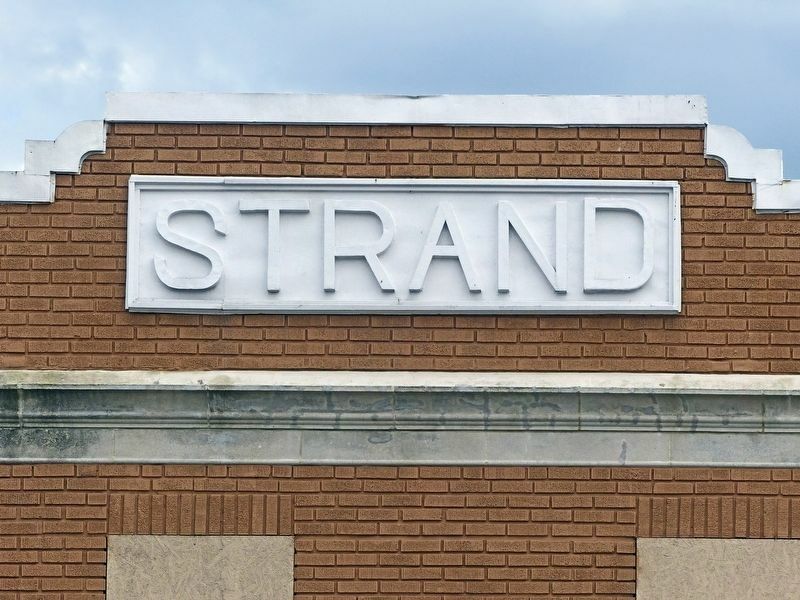 At the 600-seat Strand, adults initially paid 15 cents and children paid 10 for first-run movies on Saturday afternoons. 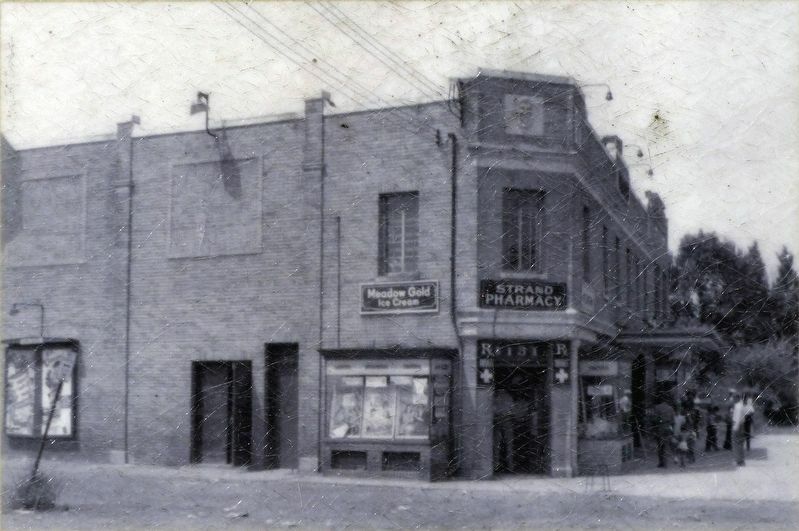 The Strand building also housed a pool room, dance hall, pharmacy, and doctor's office. 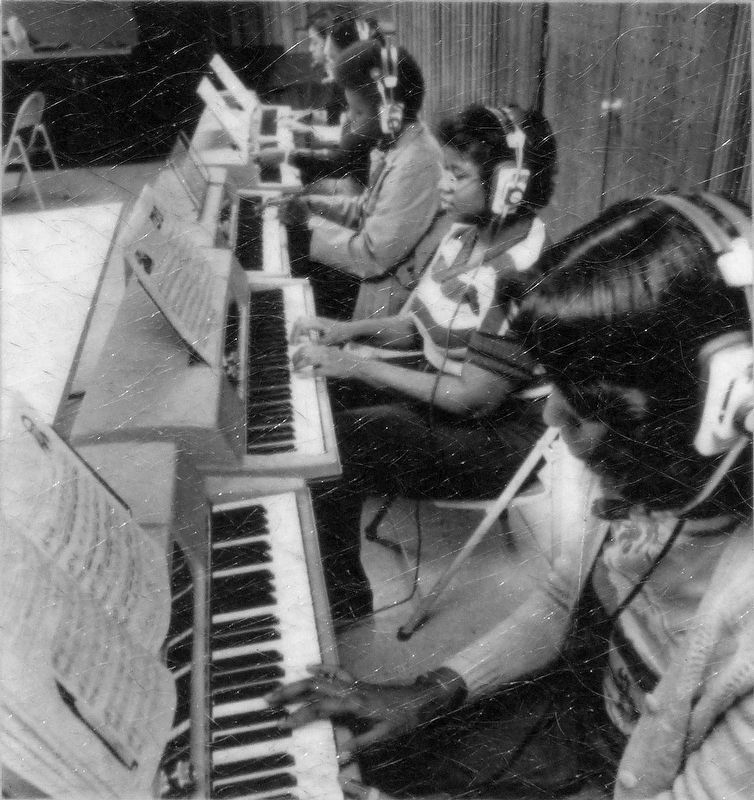 From 1972 until 2008, the original H.D. Woodson Senior High School stood about a block to your right. 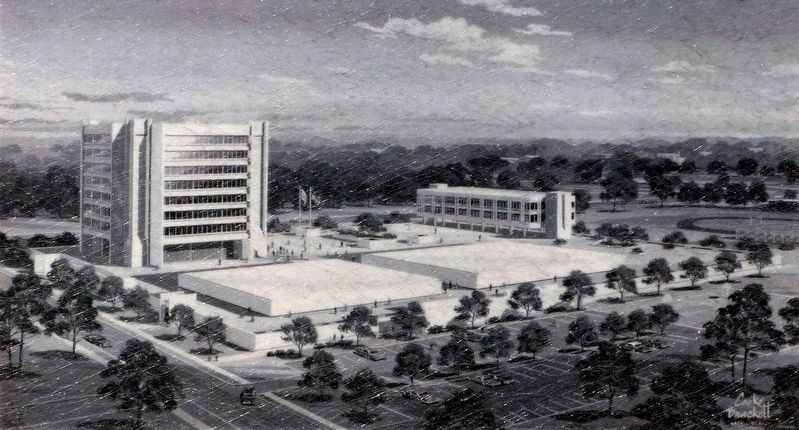 Far Northeast's only high school was an innovative, nine-story academic vocational school intended to inspire its community. 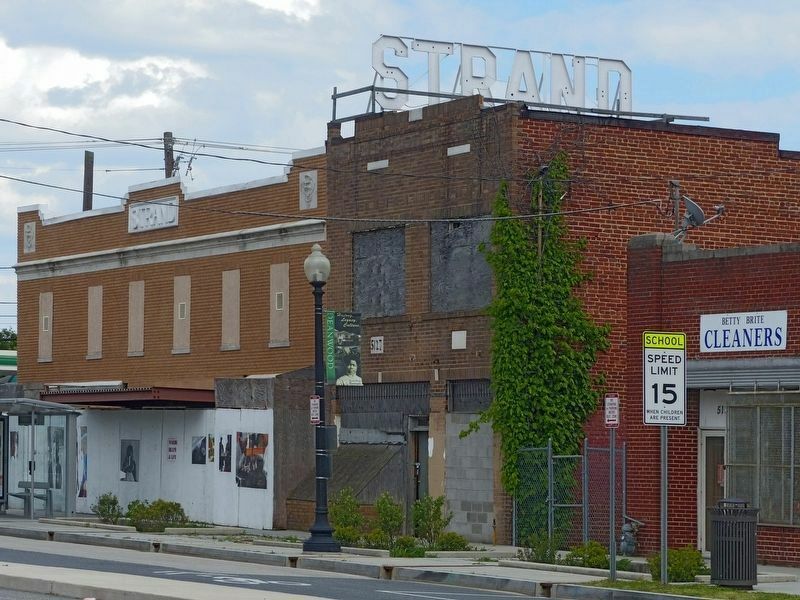 Instead, over time diminishing city funding, lack of maintenance, and design flaws led to its deterioration, demolition and replacement. the United States as well as hundreds of private structures in DC. 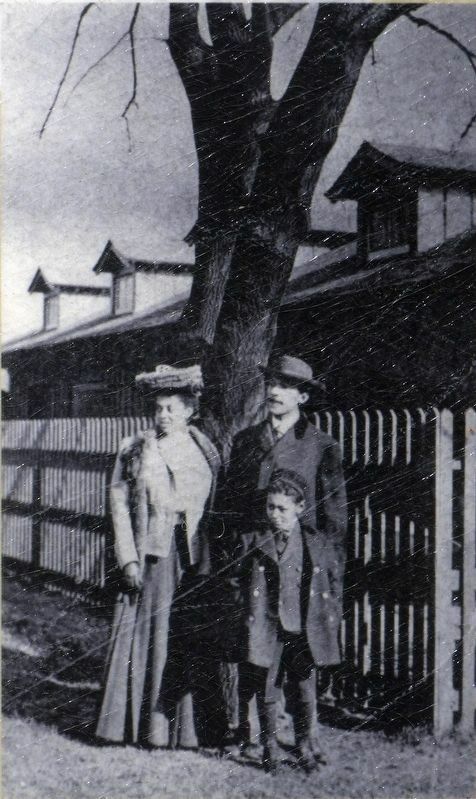 Locally he designed Union Station's roof, the Metropolitan Baptist and Vermont Avenue Baptist churches, and houses along 49th Place in Deanwood. 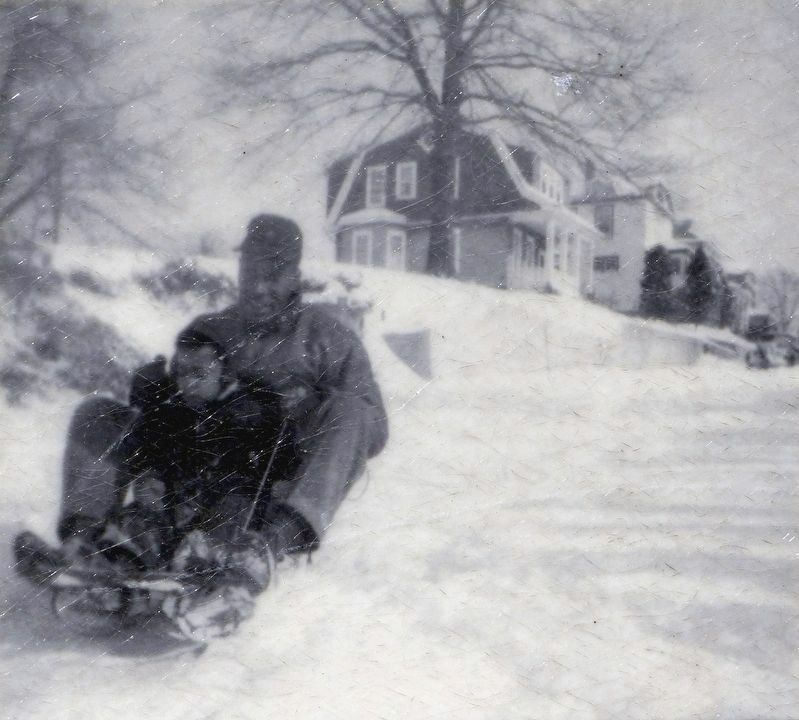 Woodson led residents in successful battles for public schools and parks, water and sewer systems, street paving and lighting. 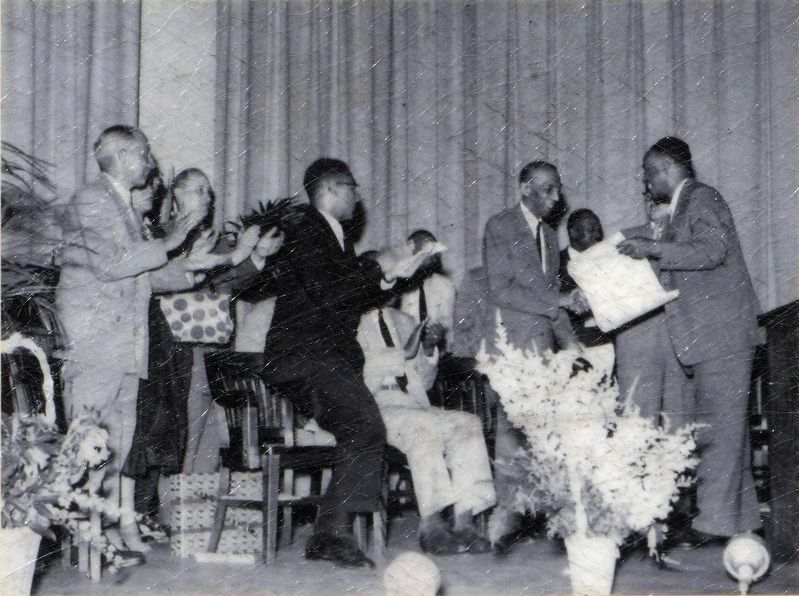 And he helped form key civic groups, including the Northeast Boundary Civic Association, the Far Northeast Council, and the Far Northeast Business and Professional Association. Location. Marker has been reported missing. It was located near 38° 53.89′ N, 76° 55.549′ W. Marker was in Deanwood, District of Columbia, in Washington. Marker was at the intersection of Nannie Helen Burroughs Avenue Northeast and Division Avenue Northeast, on the left when traveling north on Nannie Helen Burroughs Avenue Northeast. Touch for map. Marker was at or near this postal address: 5131 Nannie Helen Burroughs Avenue Northeast, Washington DC 20019, United States of America. Touch for directions. away); National Training School for Women and Girls/ Nannie Helen Burroughs (approx. 0.2 miles away); From Rural to Residential (approx. 0.3 miles away); A Whirl on the Ferris Wheel (was approx. 0.3 miles away but has been reported missing. ); Lederer Gardens (approx. 0.3 miles away); From Gardens to Garden Apartments (approx. 0.4 miles away); Original Federal Boundary Stone NE 9 (approx. 0.4 miles away). Touch for a list and map of all markers in Deanwood. 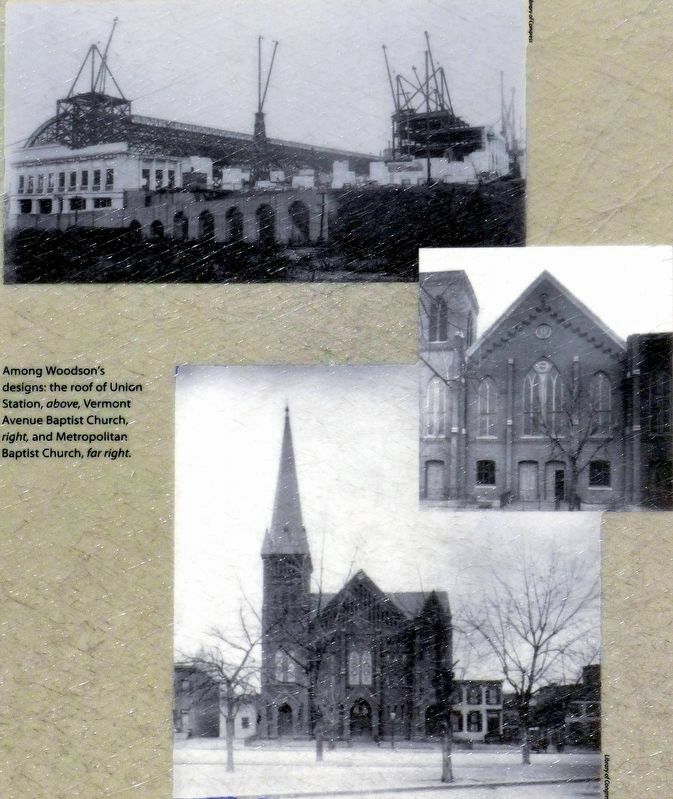 Among Woodson's designs: the roof of Union Station, above-, Vermont Avenue Baptist Church, right, and Metropolitan Baptist Church, far right. 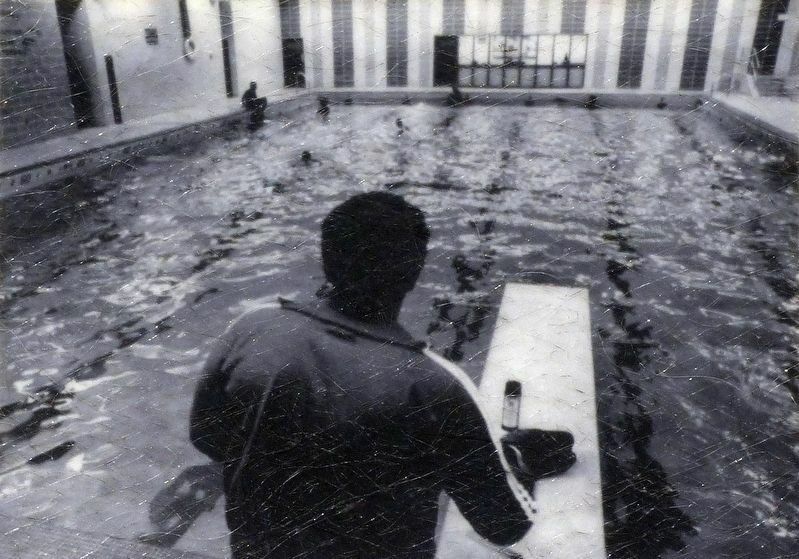 Innovations at the original Woodson High School in 1972 included the swimming pool, where students received SCUBA diving certification, and the music lab. More. 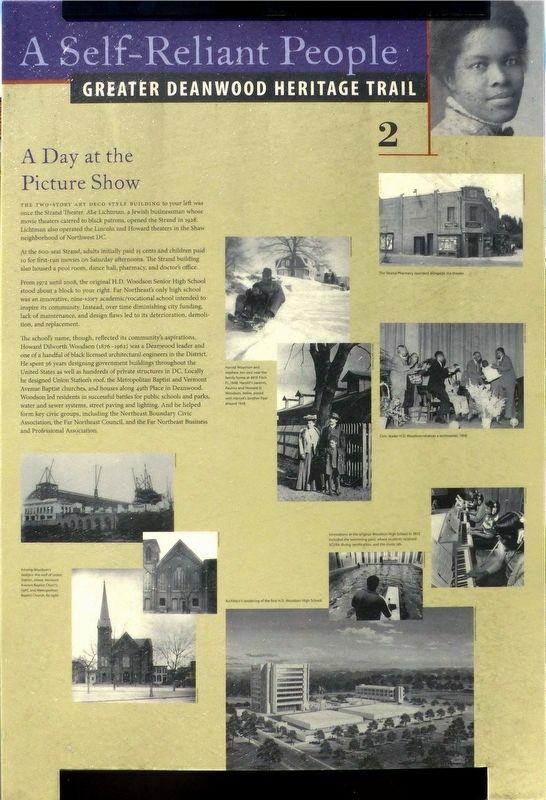 Search the internet for A Day at the Picture Show. Credits. This page was last revised on March 20, 2019. This page originally submitted on June 7, 2017, by Allen C. Browne of Silver Spring, Maryland. This page has been viewed 125 times since then and 11 times this year. Last updated on March 7, 2019, by Devry Becker Jones of Washington, District of Columbia. Photos: 1, 2, 3, 4, 5, 6. submitted on June 7, 2017, by Allen C. Browne of Silver Spring, Maryland. 7, 8, 9. submitted on June 10, 2017, by Allen C. Browne of Silver Spring, Maryland. 10, 11, 12. submitted on June 17, 2017, by Allen C. Browne of Silver Spring, Maryland. 13. submitted on June 20, 2017, by Allen C. Browne of Silver Spring, Maryland. • Bill Pfingsten was the editor who published this page.